The Adventure of the Clavicle Excavation and Sam’s Awesomeness! We’ve finally made it back home to our soft bed, loving (when not biting) cats, and delicious food! It has been a draining and exciting couple of days at Vanderbilt Hospital. The surgery went flawlessly! It went entirely according to plan; Sam’s right clavicle and the surrounding muscles were removed. The doctors checked the margins in the operating room to make sure they removed all of the cancer to the best of their ability. The last few days were emotional, but provided us with a huge sense of relief. Here’s a picture of Sam right before he was taken to the operating room. Sam is sporting a lovely but unnecessary hairnet for his surgery. My two favorite parts about the entire experience was: 1. Sam choosing to go home from the hospital wearing his hospital gown and 2. Taping a picture of the beach above our bed immediately after we got home from the hospital. We’ve had one goal in mind since this whole cancer thing started; get to the beach as soon as treatment is finished. If we made a movie about the last few days, the trailer would look like this: Click On Link Below. The coolest part of Sam’s surgery came as a total surprise to us all. I was called into a conference room to discuss the details of the surgery once Sam was out of the operating room. Meeting privately with the musculoskeletal oncologist brings back a lot of bad memories. My heart felt like it was beating out of my chest as I stepped off the elevator. The surgeon met me with a hug and a smile. As we proceeded to talk about the surgery she said, “Oh, Sam wanted me to take pictures so I can show you!” Dr. Halpern whipped out her iPhone and flipped past several pictures of her children and then…BAM…there was a picture of Sam wide open on the operating table and a picture of his clavicle after it had been removed. The pictures are totally gross. It would seem rude and inappropriate to post them on the blog. 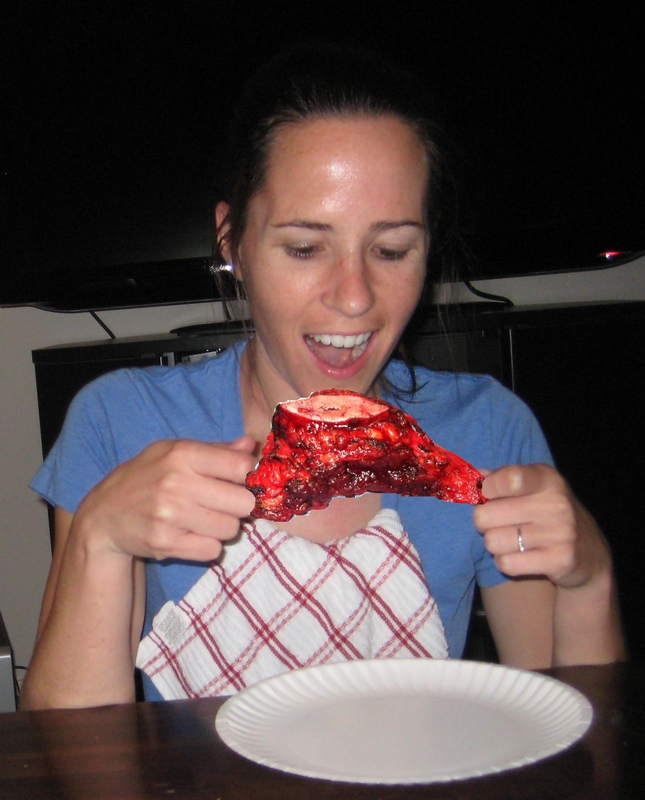 We will, however, show you a picture of me eating a delicious barbecue chicken wing! We’ve been told for months that we’ll have a much better idea of where we stand after Sam’s surgery. The doctors will be able to know how effective the chemotherapy has been. Sam’s barbecue chicken wing has been sent off to a pathologist who will inspect it for cancer. We’ve waited for months for this information, but have told both of our oncologists not to call us next week with the news. Sam has an appointment on August 18th to have his stitches removed and we will hear the news then. We have decided that we will take a vacation from cancer for the next two weeks. Whatever the prognosis is, we can wait. We want the next two weeks to be as normal as possible and not have our lives revolve around cancer. Out of the last 100 days, we have spent 42 of them at Vanderbilt Hospital. We can’t wait to spend the next two weeks avoiding cancer conversations and the hospital. On a side note, Sam is scheduled to start chemotherapy again on August 23rd. We’d like to thank everyone for the tremendous support over the last couple of weeks. From inspiring text messages to a Burger King gift card, you all continue to encourage us daily. This surgery was a HUGE hurdle. It’s amazing to hear from all of you and know that you have our backs. We know how incredibly lucky we are. We spend our days talking about all of you and how much you help us. Our cancer-free vacation has officially started. We’ll post again in a couple of weeks and let you know how the healing process has gone and all about the post-surgery news! We love you all and can never say thank you enough. Excellent news — I’m so glad the surgery went well and that you two are back at home. The trailer is very Indiana Jones, and it was good to see that Sam’s near and dear glasses pair #2 made an appearance near the end. And of course keep the kitty footage coming. I think that if clavicle extraction had been a common thing in the olden days, like when the bible was written, today’s puritanical religions would teach us to be ashamed of how gross it is. Super gross clavicle, Sam. Congrats, though. Enjoy your vacation ! We love you ! Holy moley! First, the blog: you folks have really outdone yourselves this time. That movie trailer is made of awesome; it totally made me crave popcorn. I could practically taste it. However my appetite was immediately extinguished by the ‘chicken wing’ photo. At least I am spared a frustrating desire for popcorn when there is none to be had. 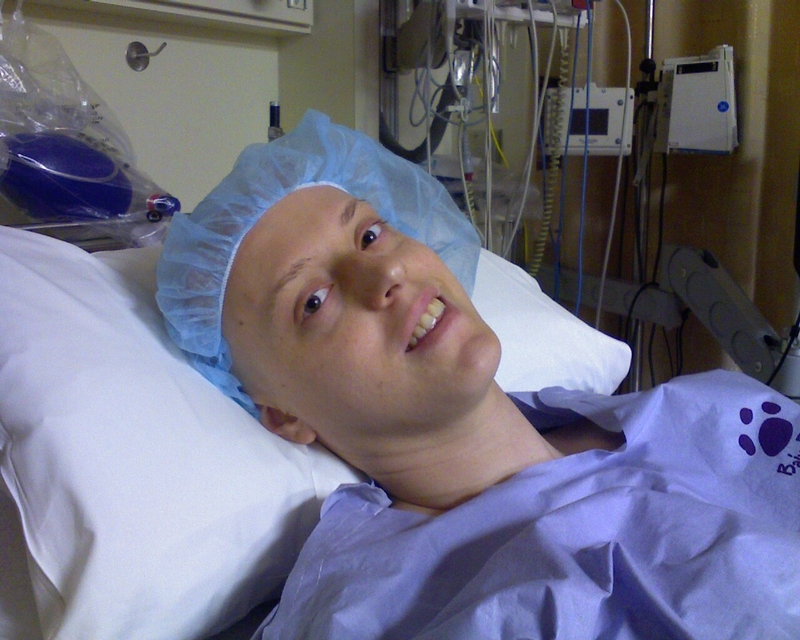 Second, the surgery: Hurrah! Congratulations!!! Vacation begin! I am so proud of the way you two have handled each step of this journey with courage and strength. Happy Healing to Sam! Whoop whoop for two weeks of “vacation” – and another whoop whoop for gliding through surgery. Loved the movie trailer and can’t wait to see what else comes out of Your Momma Films. Sam and Leslie – you two are awesome! Praying for y’all as you start the chemo. Hang in there and keep the positive energy flowing. You two are love in action!! !